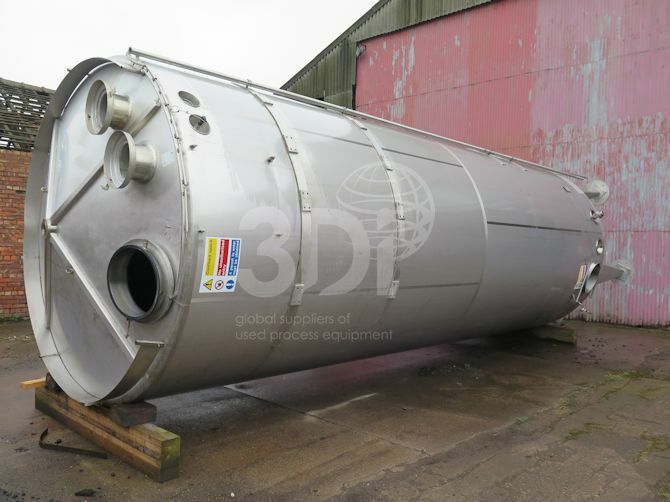 Used 50,000 Litre Jacketed Stainless Storage Tank, manufactured by Euro Inox S.r.l., 2005. Material of construction: 316 stainless steel. Orientation: vertical, cylindrical, coned top and bottom. 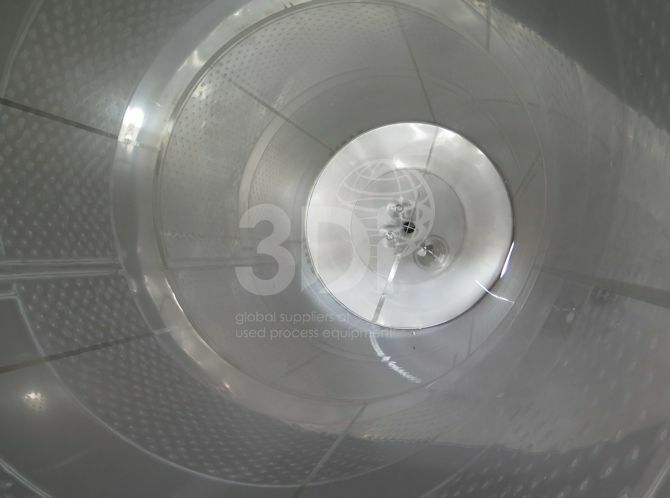 Dimensions: 2750mm internal diameter, 7650mm on the straight, 500mm top cone, 600mm bottom cone, 10000mm overall height without handrail. Connections: (1) 150mm bottom outlet reduced down to 75mm, (1) 75mm side bottom outlet, (1) 500mm side bottom man way, (4) 75mm side jacket connections, (1) 75mm top centre inlet, (2) 250mm top vents, (1) 500mm top man way. 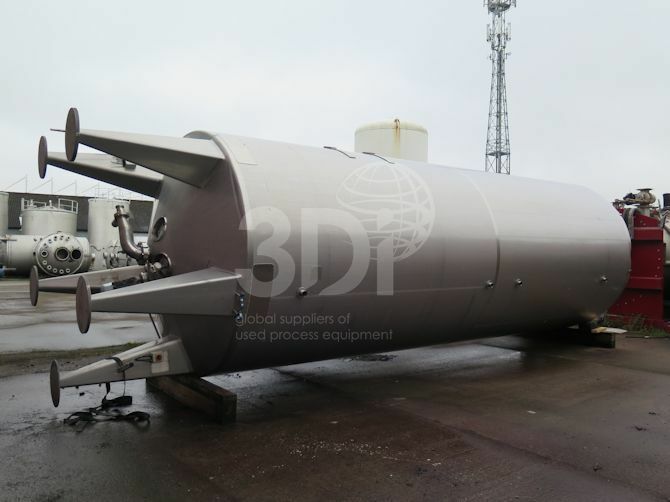 Tank is fitted with a bottom mounted propellor agitator powered by a 5.5kw electric motor. 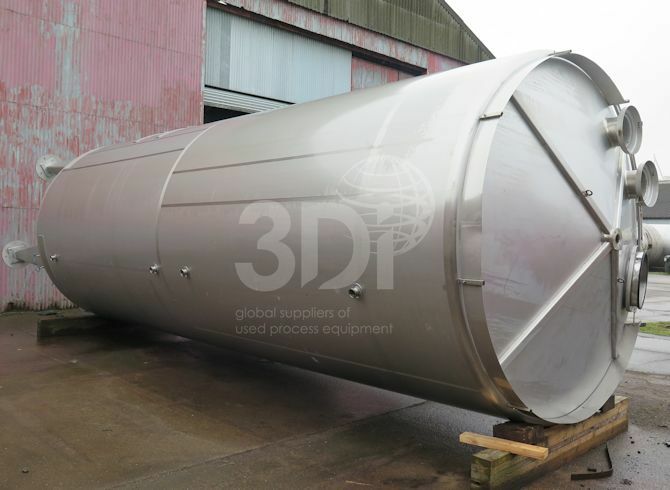 Tank is supported by (5) stainless steel legs. Previously used in the food and beverage industry.